Join a masterclass in the modern art of creative sushi preparation. Suits for vegans but for people interested in their general well-being. 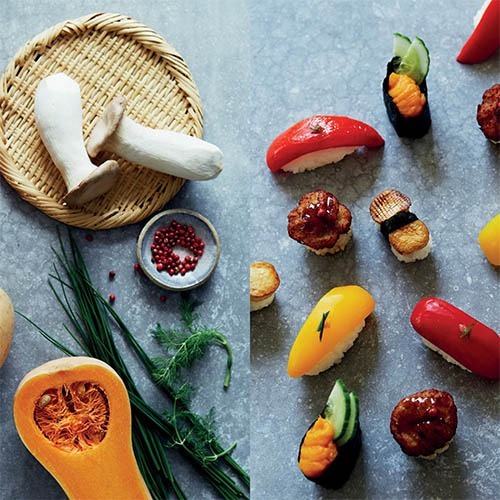 Join a masterclass in the modern art of creative vegetarian sushi preparation with Sushi Made Simple cookbook author, Atsuko! You’ll be introduced to a range of Japanese ingredients; learning where and how to use them and about some of the unique products used to create mock sashimi and seafood. In this hands-on cooking class, you’ll then go on to learn six types of toppings to finish Temari (balled sushi) & Gunkan-maki (oval sushi), and flavoursome vegetarian roll! We start with introducing a variety of sushi, then a cooking session. Next you will make your own sushi and finally what you made! The class will take 3 hours.